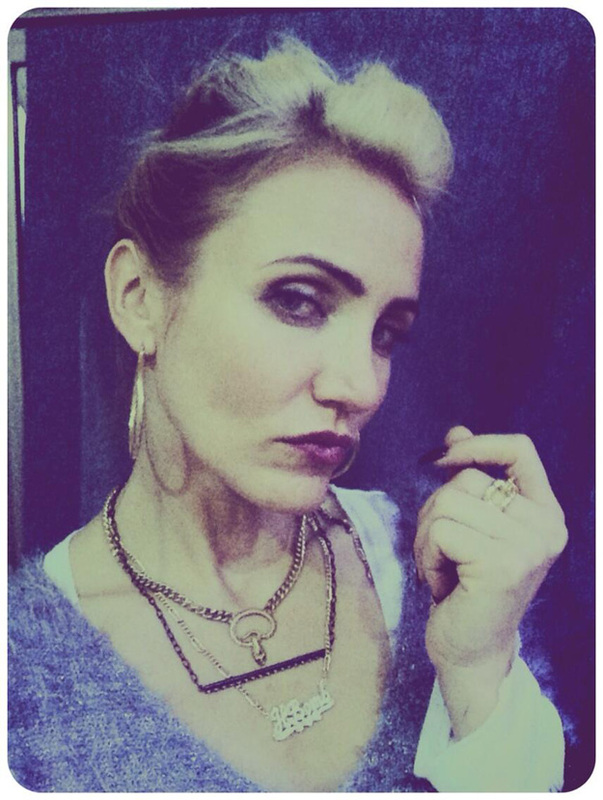 Star Cameron Diaz has taken to her newly-launched Twitter today to share a look at herself in full costume on the set of director Will Gluck’s upcoming musical Annie. Check out her photo below along with another look, courtesy of Getty Images. Diaz plays the part of orphanage head Miss Hannigan opposite Quvenzhané Wallis, Jamie Foxx, Rose Byrne and Bobby Cannavale. Opening in theaters on December 19, 2014, Annie is based on the hit Broadway musical (in turn based upon the popular comic strip and radio show, “Little Orphan Annie”) and features songs with music by Charles Strouse and lyrics by Martin Charnin and a book by Thomas Meehan. The contemporary take on Annie will be produced by James Lassiter, Jada Pinkett Smith and Will Smith through their Overbrook Entertainment banner, and by Shawn Jay Z Carter, Jay Brown and Tyran Ty Ty Smith through Marcy Media.